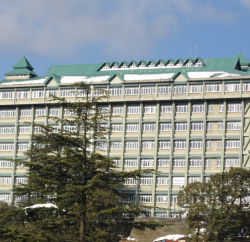 Shimla: Taking a tough stand on illegal construction in Dharamshala, the Himachal Pradesh High Court ordered the Director, Town & Country Planning (TCP), to furnish the names of all the Directors of Town and Country Planning and Town and Country Planners, Dharamshala who have remained posted from the year 2005 to 2018 alongwith present status as to whether they are still in service or have retired. 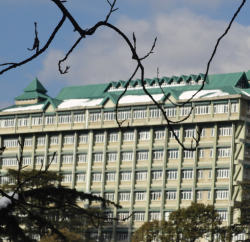 A division bench comprising Chief Justice Surya Kant and Justice Ajay Mohan Goel passed this order when it was brought to its notice that the powers to enforce the building bylaws have been conferred upon the Municipal Corporation from February, 2018 only. Prior thereto, such responsibility was with the Town & Country Planning Department. 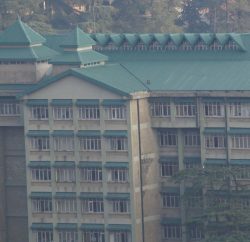 The Court directed the Director, Town and Country Planning as well as Town and Country Planner, Dharamshala to explain as to how the constructions were allowed to be carried out and why no action was taken? The unfortunate part is that the Authorities are not aware as to whether the construction has been raised on his own land or he has encroached upon public property, the bench further commented. The Court directed Commissioner, MC Dharamshala to submit a status report in respect of the unauthorized constructions identified in different parts of the Municipal Corporation and action taken against violators. The Court further ordered to check illegal construction in other part of the corporation. The Court has ordered the Deputy Commissioner and Superintendent of Police Kangra to provide full assistance to the Municipal Corporation.